Starting on Sunday, Party Poker is running two weeks of phased qualifiers for its million dollar guaranteed Big Game tournament scheduled for 30th December. In an attempt to cash in on the recent success of its MILLIONS Online event, Party Poker has scheduled a million dollar guaranteed “Big Game” tournament for Sunday 30th December. 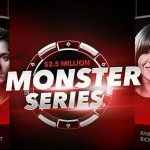 The Big Game has the same $5,200 buy-in as the MILLIONS Online event; but, with only two weeks to go before the tournament, Party Poker doesn´t have the opportunity to run such a comprehensive satellite program as before – especially as the week leading up to the target event is the Christmas holidays. Consequently, the site has decided to run two weeks of phased qualifiers prior to the Big Game – each set of phased qualifiers having five $5,200 seats added to the prize pool in addition to the number of seats generated by the buy-ins. The phased qualifiers each have a buy-in of $109.00, and Party Poker is running plenty of MTT ticket satellites with buy-ins of $11.00 and $22.00 to make it easier for players to satellite into the phased qualifying stage of the event. The Big Game tournament will get underway at 5:00pm (all times GMT) on Sunday 30th December. Players who qualify for the event, or who buy in directly for $5,200, start the Big Game with one million chips and blinds of 2,500/5,000 (ante 625). The tournament is being played in 8-Max format, with levels increasing every sixteen minutes, and no re-entries allowed. This is to protect qualifiers from players with big bankrolls who can afford to fire multiple bullets in pursuit of a share of the prize money. Late registration will remain open for twelve levels – about 3¼ once breaks are taken into account – by which time the blinds will have risen to 17,500/35,000 (ante 4,370). Consequently, any player leaving it until the last minute to register for the Big Game will have about 28 Big Blinds to spin up into a winning chip stack. As the tournament is scheduled for the night before New Year´s Eve, it will be played to a conclusion in one session and not carried over into a two-day event. 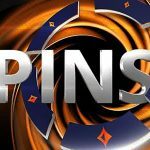 Phased qualifiers with $109.00 buy-ins start on Sunday and run every two hours during the week between 3:00pm and 11:00pm. Each qualifier last for twenty-two levels of five minutes, and fourteen levels of late registration. Players surviving the two hours of action will carry their chip stacks forward into a weekly final – the first at 9:00pm on Sunday 23rd December, and the second at 2:00pm on Sunday 30th December. The two finals will determine who wins the seats into the Big Game. Players can enter as many phased qualifiers as they wish, but they can only carry their largest chip stack into the Sunday finals – any other chip stacks are forfeited. The finals start with blinds of 2,500/5,000 (ante 600), so it is likely that – to be in with a chance of winning a seat to the Big Game – players are going to have to carry forward a chip stack in excess of 100,000 chips in order to be competitive. It´s a big ask, and there are some considerations players should bear in mind before deciding when to play. The first thing to bear in mind is that if you want to get the maximum value from the Big Game tournament, you can start your journey at the $0.55 buy-in “Feeder” stage. Some events at this stage guarantee twenty $11.00 MTT tickets, and are rarely fully subscribed – increasing the chances of winning a ticket. The $11.00 ticket can be used to buy into second sub-satellite guaranteeing a minimum number of $109.00 MTT tickets. The mid-afternoon sub-satellites are usually the best for overlays. When you have won a $109.00 ticket, you need to think carefully about which phased qualifier to enter, because you want to get through to the Sunday final with as many chips as possible. For example, a phased qualifier on Sunday evening is going to have more players (and more chips on the table) than the 3:00pm phased qualifier on Christmas Day. It´s also worth mentioning that each phased qualifier has fourteen levels of late registration, so you can monitor each qualifier until it is about two-thirds completed before deciding whether or not to enter. Do You have a Big Plan for the Big Game? Party Poker´s Big Game is well worth considering if you are able to play in the target event – even if you only have a relatively modest bankroll. The potential returns for a $0.55 investment make it a very lucrative opportunity, and one that is synonymous with the type of events being more frequently staged by Party Poker at present. Therefore, get your thinking cap on, get a plan in place, and head over to Party Poker to book your seat in this Sunday´s Big Game phased qualifiers.